The Apostle Paul offers a picture in Ephesians 4 of the church living in unity with one another and growing in Christlike maturity. He says that Jesus has given people gifts to equip and build up the whole church to experience the maturity and fullness of Christ. We are passionate about equipping the whole church to live out their missional calling and to discover their APEST (apostles, prophets, evangelists, shepherds [pastors], teachers) vocation. Pastor Worth has learned and adapted much of his digesting and understanding of APEST from the biblical and missiological work of Alan Hirsch and JR Woodward. Read through the brief descriptions of each APEST vocation below. Get feedback from a spiritual friend about where they see you in these vocations. 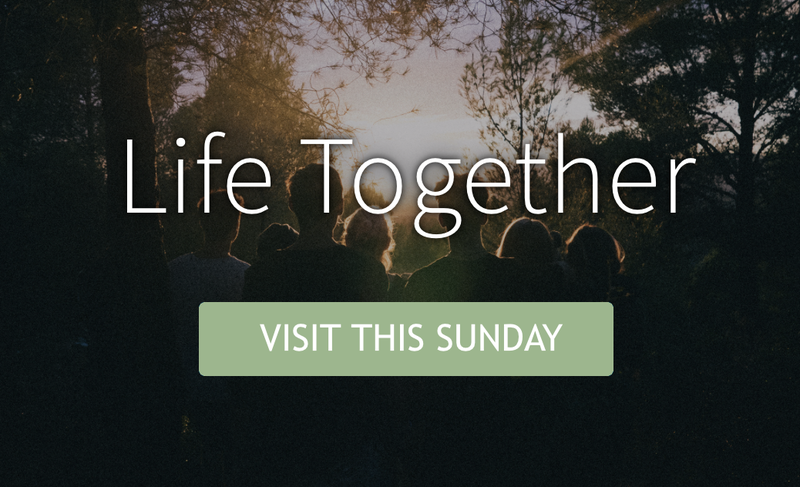 Listen to this sermon on disciple-making and APEST. Take the Personal APEST Vocational Assessment (heads up…this costs $). Cultivate a thriving environment by helping the church step out into new territory, extend Jesus to new people and places, and multiplying disciples and churches. We desperately need healthy, passionate Apostles because without them we lose our sense of the big picture vision of Jesus and will be less likely to take risks with God. If you have trouble starting something new, staying focused on a vision, or setting a bold goal, then you need to hang out with an Apostle – they will help you mature in this! If you are an Apostle, we need you to start Missional Churches with us – but you’re probably going to need a Shepherd or Teacher to do it with you to help you care and invest deeply in people. Jesus is the best Apostle we have ever known – he was the original “sent one” from the Father – he blazed a new trail and he was extremely mission-focused on the dreams of God for him and his disciples. Cultivate a liberating environment by helping the church pursue intimacy with God, experience liberation from sin, and stand with the poor in the power of the Spirit. We desperately need healthy, passionate Prophets because without them we lose our sense of God’s heart for us and the poor and will be less likely to repent when we have sinned individually or communally. If you have trouble experiencing God with intimacy, discerning a tough situation, or having a heart for the poor then you need to hang out with a Prophet – they will help you mature in this! If you are a Prophet, we need you to start Missional Churches with us – but you’re probably going to need a Evangelist to do it with you to help you build relationships with people who don’t know Jesus. Jesus is the best Prophet we have ever known – he had a deep life of prayer and intimacy with God, he spoke truth to the religious power of his day, and he stood alongside the poor and oppressed. Cultivate a welcoming environment by helping the church share the good news of Jesus and extend fellowship to all, especially those society has marginalized. We desperately need healthy, passionate Evangelists because without them we lose our sense of the joy and goodness of Jesus and will be less like to share our faith in Christ with people. If you have trouble sharing your faith, building new friendships, or welcoming new people then you need to hang out with a Evangelist – they will help you mature in this! If you are a Evangelist, we need you to start Missional Churches with us – but you’re probably going to need a Teacher to do it with you to help you grow people with the wisdom and character of Jesus as they start to follow him. Jesus is the best Evangelist we have ever known – he shared the good news of the kingdom of God everywhere he went, he came to “seek and save the lost”, and he built new friendships all the time. Cultivate a healing environment by helping the church work through their past pain and hurt, practice forgiveness and reconciliation, and move towards wholeness in Jesus. We desperately need healthy, passionate Shepherds because without them we lose our sense of the care and guidance of God and will be less likely to forgive and reconcile as Jesus teaches. If you have trouble working through emotional wounds, listening to people well, or building others up in love then you need to hang out with a Shepherd – they will help you mature in this! 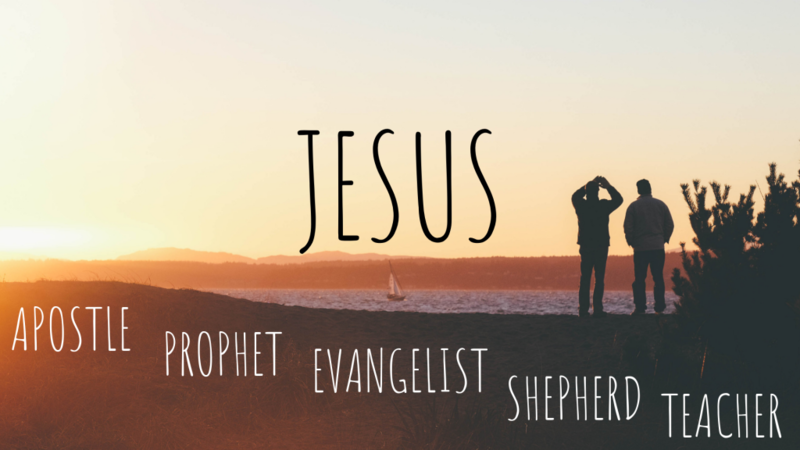 If you are a Shepherd, we need you help care for our church community with us – but you’re probably going to need an Apostle or Prophet to do it with you to help you clarify a strong vision and plan of action to reach people. Cultivate a forming environment by helping the church experience formation in Jesus through the Bible, become life-long learners, and inhabit God’s missional story. We desperately need healthy, passionate Teachers because without them we lose our sense of the wisdom of God in the Scriptures and will be less likely to experience Jesus speaking through the Bible. If you have trouble studying the Bible, embracing Jesus as “the truth,” or hearing God speak to you through the Scriptures then you need to hang out with a Teacher – they will help you mature in this! If you are a Teacher, we need you to start places and times of spiritual formation with us – but you’re probably going to need an Apostle or Evangelist to do it with you to help you get out of your head and into the lives of real people.